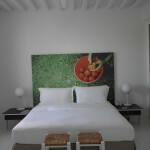 Anemi Hotel is a classy Design Hotel in a beautiful island with awesome rooms. It has a large salt-water pool with comfy sunbeads and a lovely view. 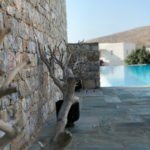 We visited Folegandros a few times before we checked into the Anemi Hotel. Each time we looked at it, admired it and talked about it, but we thought it might be a bit far from Chora (main town). But if you rent a car, it is definitely the best hotel at the Island, and from our first visit there, we never check in anywhere else. 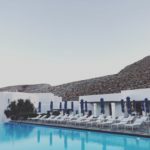 Folegandros is my favorite Greek Island. It is a part of the Cyclades, and is easy reachable with the ferries that runs all year round. The island has the most beautiful Chora, main town, with the best restaurants, by far! And the ambience here, especially during the night, is worth a trip on it´s own. 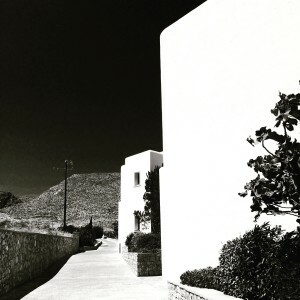 The Anemi Hotel represents the luxury part of this island, and even if I am not attracted to “snobby” elements, I have to admit that I am sucker for great design and comfort. The breakfast here is very good. And they serve fancy food at the restaurant, which gets a lot of extra points due to the view and calm atmosphere. But if it is classic, Greek food you crave, then the mentioned rental car is a must. Also if you want to visit the remote beaches. 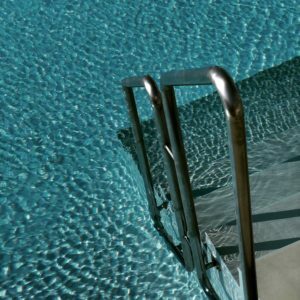 The best things about this hotel are the rooms and the pool. The rooms are spacious and has just the right amount of designer elements. Like Eames chairs. 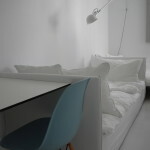 It also has the best bed in the Cyclades, I think. With feather pillows and duvets. The pool at Anemi has fresh saltwater in it, and the size is very nice. The view is also beautiful, looking over the port and the ocean. And if you crave a dive into the sea, or a short stroll and dip on a beach, it will just take you a five minutes walk. There are also a couple of good restaurants there suitable for lunch. Castell d´Empordá – A Hotel fit for a queen!